LoveSales doesn’t just offer you the best deals on fashion, beauty and home products. In fact, some of the most fantastic savings that our users enjoy can be found on electricals including TV’s, tablets, computers, gadgets and games consoles where LoveSales lets you know about hundreds of pounds of savings with often just one item. 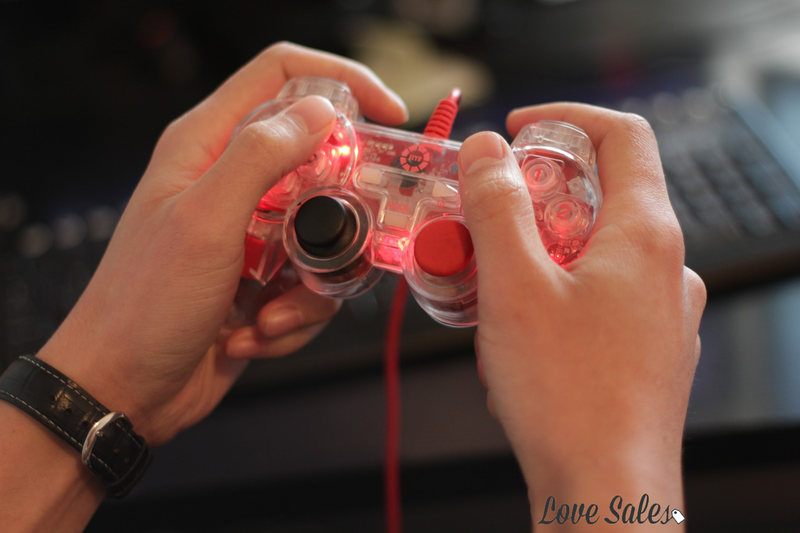 LoveSales strives to offer you great shopping tips and reviews across key categories, so today we thought we’d give you an insight into the best video game consoles on the market, an area where our customers seem to be keen on watching the price of products. So if you are a gamer remember to add these video games consoles to your watchlist now before they drop in price. Since the Coleco Telstar first broke the 1 million sale mark back in 1976 (source: wikipedia), video games consoles have fast become one of the biggest selling gadgets globally. If you are as old as I am you will remember the likes of the Sega Master System, Sony Mega Drive, Atari 2600 and the introduction of the first Nintendo Game Boy that sold over 115 million units back in the late 1980’s. Today video games are as realistic as they can be with graphics that immerse the game player right into the centre of all the action, coming a long way from the classic Pac Man and Micro Machine games of old. Just like mobile phones are striving to become better and better, video game console manufacturers are also pushing the barriers with technology in an industry that is now making billions a year. Not only can you play games on these consoles now, but you can connect to the net, use apps, and turn your TV into a Smart TV right from your console. Even top selling games are using Hollywood actors as voice over artists, you only need to look at FallOut 3 which stars Liam Neeson, Gary Oldman in Spyro, Seth Green in Mass Effect and Kevin Spacey in Call of Duty: Advanced Warfare. With so much competition out there, which are the best video game consoles at the moment? This entry was posted in Latest Sales on March 27, 2015 by Craig Timmins. Whether it’s mobile phones, games consoles or TV’s, the technology used in each of these electronic devices are constantly evolving and meeting the demands of the general public. TV’s of the last 10 years have seen breakthroughs in 3D capabilities (albeit gimmicky to begin with), 4K resolution (which offers 4x the resolution of a full HD display), and of course Smart TV’s that will allow you to access apps, surf the web and stream videos directly to your TV. At LoveSales we know that searching for a new TV can be stressful, confusing and generally overwhelming. You are looking to part ways with anything from £300 – £3,000, so making the right decision is fundamental. Where do you start though? There are so many manufacturers, sizes, and features that we have decided to guide you through the steps you need to take in order to purchase a TV that is going to suit you, as well as identifying 10 of the top TV’s on the market at the moment. Where Do I Start When Buying a TV? Most people will go straight to the size of the screen, which is something I have to say I do. At the end of the day the size of the screen is the most important factor because if it’s too big it may not fit in the desired area you want it to fit in, and if it’s too small you are going to be disappointed when you come to sit down and watch Eastenders, only to be squinting at the screen as Dot lights another cigarette. Firstly, you need to measure up the area where your TV is going to go, in order to determine a size-range that you can start looking for. It’s also worth noting that if you are going to upgrade dramatically you will need to double check your TV stand or shelving unit to make sure it can support the new weight and size. Again, if it’s going on the wall you want to make sure the wall isn’t going to come crumbling down with your new TV in pursuit. The average screen size at the moment tends to be between 37” and 55” with an average of around 46” – so you may want to look inside this range. The second step is to select a manufacturer, because it’s all well and good having a 50” TV but if it’s a cheap TV set by an unknown brand then your viewing quality is going to be heavily compromised. Your safest bet is to go with well reviewed and strong brands such as Sony, Samsung, LG, and Panasonic, you can’t go wrong with any of these. 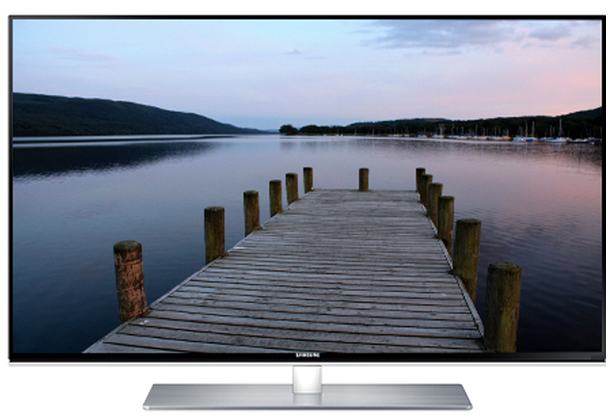 There are a number of TV types to choose from whether it’s LED, LCD or Plasma. Plasma TV’s are usually the cheapest and for a good reason. A Plasma TV is very reflective and what you will find is that from some viewing angles you won’t be able to see the TV properly in well-lit or bright rooms. If your room is on the darker side, or the TV is situated away from the window then a Plasma TV will be a good choice but I recommend going for an LCD or LED TV. LED is the newest technology and most TV’s now sport this type of display. They are crisp and clear displays where you don’t have to worry about lighting conditions. LCD Display: LCD displays require a backlight to make the colours visible. OLED Display: Organic LEDs emit light when a current is passed through them. LED Display: They are like LCD but much more energy-efficient, using less power and less amount of lights. Plasma Display: Plasma is known for its excellent black levels, but are like mirrors. HD: High Definition, which are 720P to 1440P displays. UHD: Ultra High Definition, which are 4K displays (2160P) or 8K displays (4320P). You will also need to check the back for ports, something that many of us don’t do only to realise later down the line that one important connection isn’t part of the TV. I have to hold my hands up here, as a TV I bought a few years ago was missing a headphone jack which was needed to be able to use a pair of Wireless Headphones I had been bought. Take it from my experience, check before you purchase. All the other ports will come as standard. By now you have an idea of the type of TV you want, whether it’s a Sony 55” Smart TV or an LG 37” 3D Ready TV. The next step all comes down to the price, because you are likely to have a budget in mind on how much you are willing to spend on your new TV. This is where we bring you our top 10 TV’s of 2015, so take a look below and see which TV best matches your price range and needs. Coming in at the top of the price range is this stunning 4K UHD TV by Samsung which is a 55-inch Smart 3D TV that boasts 4 HDMI ports as well as 3 USB ports. Perhaps the biggest feature to this TV is the way you control it, you have both a revolutionary voice command recognition system, and an intuitive motion sensor that allows you to use your hands to control what’s displayed on your screen. For me, it’s the ultimate in laziness because I tend to misplace my remote quite a lot but with a TV like this it really doesn’t matter because you can use voice activated commands to turn your TV on, change channels and alter the volume. As it’s a smart TV you can also enjoy access to apps, games, and streaming services, and a table top stand is included in the price. A popular choice for many homes. 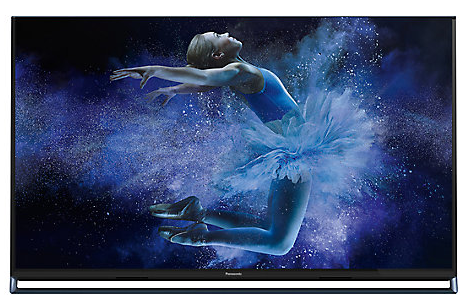 If you are looking for a smaller sized TV than the one we have listed above then this 42-inch Panasonic should fit the bill, and it comes at a price that is very affordable. 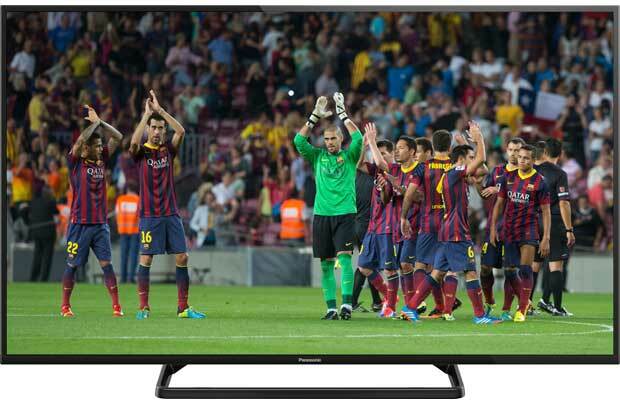 At £399 this Smart LED TV boasts 1080P HD, with built-in Wi-Fi and freeview. The first thing you will notice is that the TV is ultra slim with a narrow bezel, making this Panasonic a swish looking device. 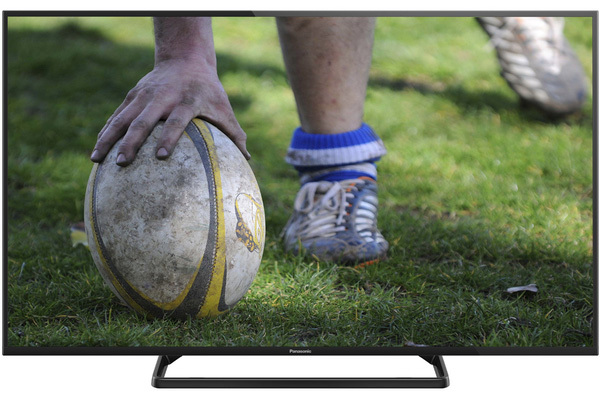 At the cheapest end of our top 10 list comes this 39-inch 1080P Full HD LED TV, which is an affordable slim LED complete with USB port so you can transfer your favourite photos, music or videos onto your TV. The TV doesn’t have RCA sockets but does have an optical digital audio socket so you can connect your TV sound bars effortlessly. The TV does come with Freeview but it doesn’t have Smart TV capabilities. 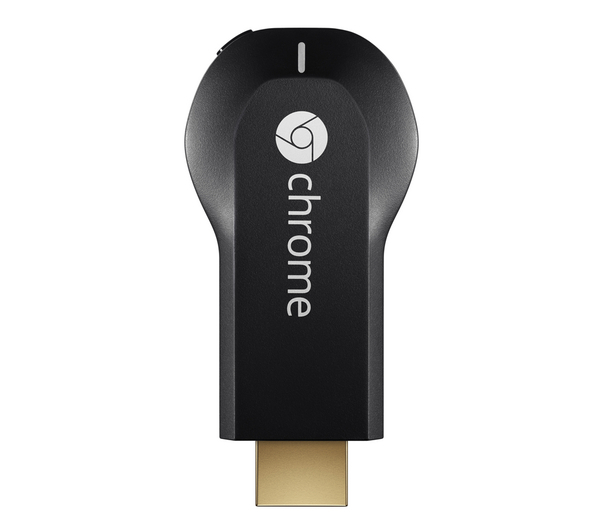 You can buy a Chromecast for as little as £30 which can help you stream Netflix and other apps directly from your phone to your TV. 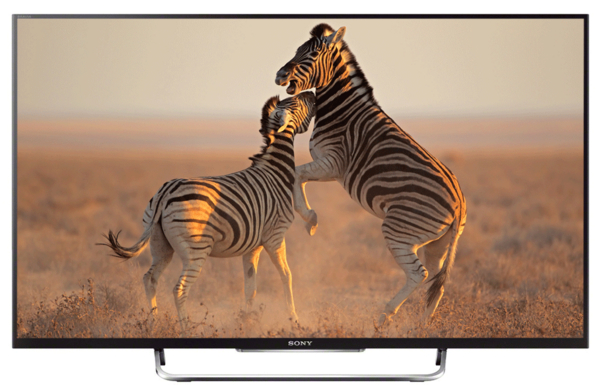 If you want to go large then this Sony KDL55W829B TV is one of the biggest in our top 10 countdown, and packs some powerful features as well. The TV is a Smart 3D TV so not only can you take advantage of using apps on your display but you can also view the TV in 3D to make the most of movies and sports. You will benefit from Full HD (1080P) and X-Reality PRO which enables an enhanced picture quality. 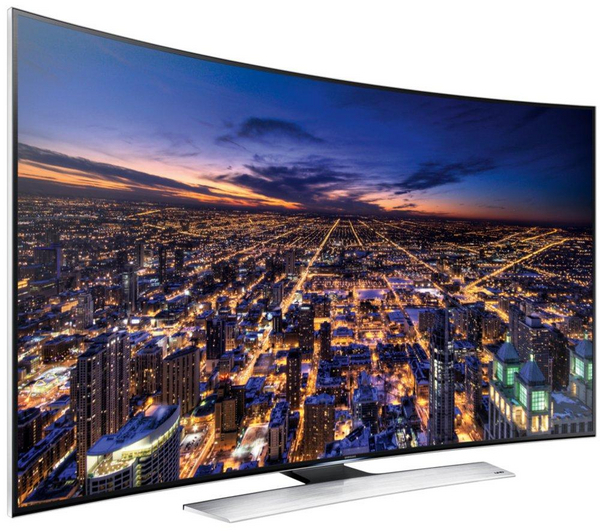 In at number 5 on our list is another Samsung, which weighs in at a spectacular 65-inches and sports 4K Ultra HD viewing at a resolution of 3840×2160. The difference with this TV is that is boasts the new curved screen technology as well as Picture-in-Picture with two tuners. 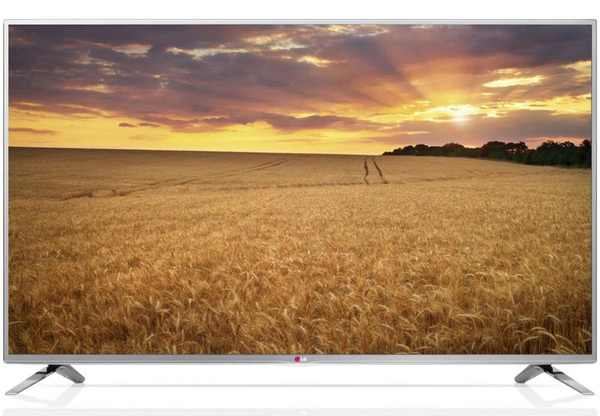 As this is a Smart TV you can access apps such as Facebook, Skype, Twitter and browse the net. For 3D movies you will need to upgrade your cable to HDMI2 (cheap to buy) which will uprate your movies to HD and 4K. 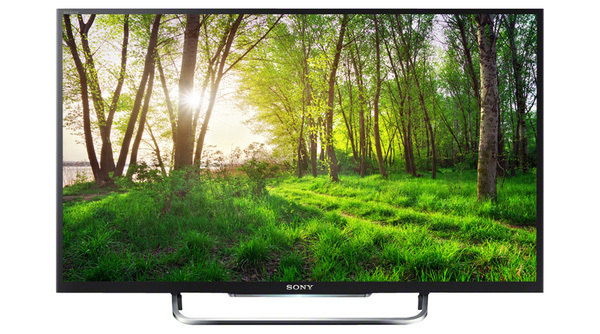 If you are looking for a budget TV that can pack a good punch then this 42-inch Sony which was launched in 2014 is still making waves in 2015. 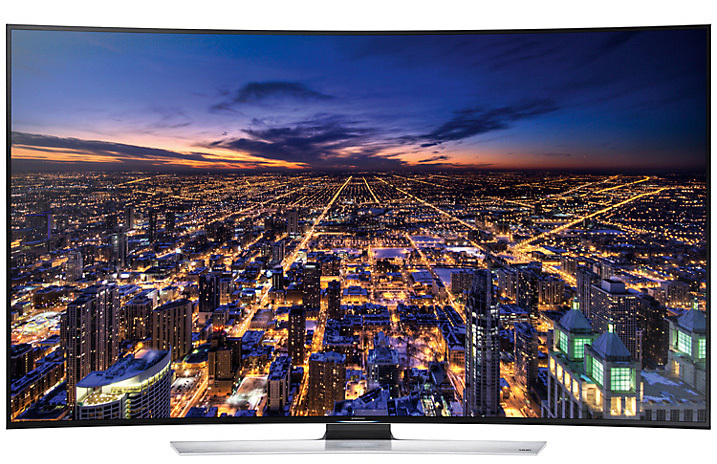 With Full 1080P HD and Smart TV functionality you have everything you need in one place. You don’t need to leave the sofa again! Complete with 4 (yes 4!) HDMI ports, 5Ghz Wi-Fi band, Bluetooth enabled, and EdgeLit TV you really do get good value for money. One of the newest TV’s on our list which is all but a few months old. This Samsung 48-inch TV brings the latest in Wi-Fi technology, along with Smart TV functionality and Full HD, which has been nicely presented in a slim narrow bezel frame, which would look the part in anyone’s house. The price tag on this is incredible given the screen size, manufacturer and features, and with Freeview HD you can benefit from over 50 standard definition TV channels and 4 HD channels for free. The Panasonic TX-50AX802 is a nice looking TV that doesn’t follow the same design build as many other TV’s, in the fact it doesn’t have any visible clearance from the bottom stand. This 1080 Full HD TV IS 3D ready, and the on-board camera can be used with Skype if you download the app onto your Smart TV. 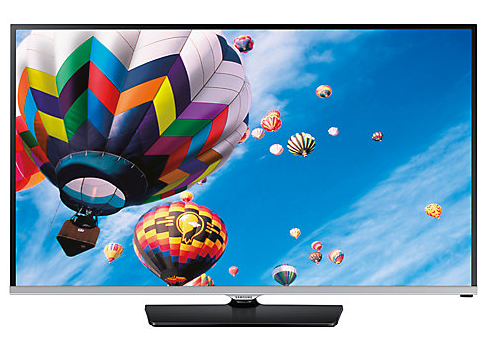 If you are looking for a quality, budget priced TV then you can’t go too wrong with this £299 LED 1080P TV from Samsung. This 40-inch offers plenty of goodies from Freeview HD, to 2 HDMI ports and USB connectivity to introduce Chromecast or other devices that can turn your TV into a Smart TV. If you just want to go all out and get a massive screen and have room for budget then this whopping 70” Smart 3D TV by LG is the choice for you. Costing £2,099, which is a lot for a TV but when you consider it comes with Freeview HD and Full HD with Wi-Fi capabilities then you do feel the urge to buy it. A thin bezel, huge 70” screen, Cinema 3D and an IPS Panel which means you get a great picture from any angle you look at the TV just tops this device off. Less than a year old this TV is still making waves moving into 2015. We have tried to highlight some of the best TV’s of 2015 here for you, from Plasma TV’s to LED’s, from Smart TV’s to 3D ready TV’s. Everyone’s price ranges and tastes are different so we have selected TV’s from the budget end to the expensive end. We hope that we have given you some food for thought on what to look out for in our TV buying guide, so when it comes to your next purchase you know exactly what to look out for. Don’t get caught out! It could be the most expensive mistake you make. This entry was posted in Latest Sales on March 8, 2015 by Craig Timmins. This entry was posted in Latest Sales, LoveSales News on February 18, 2015 by Charlotte Williams.